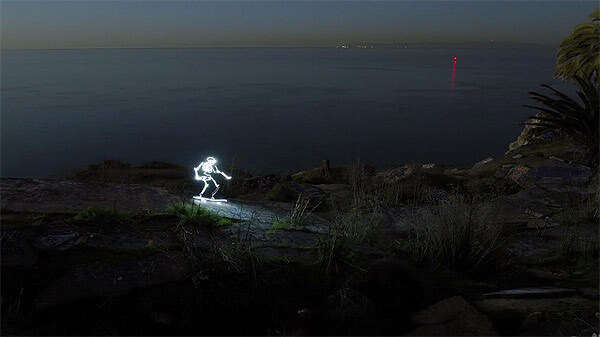 We posted up the amazing work of light painting artist and animator Darren Pearson before (here). 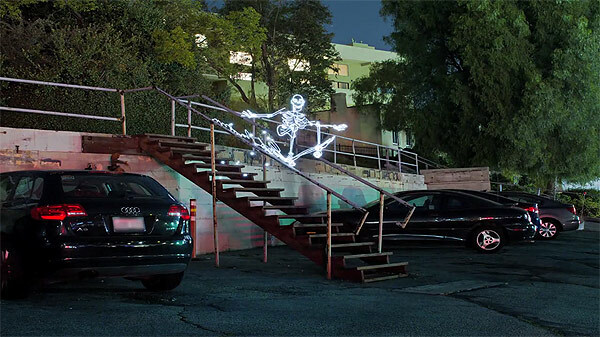 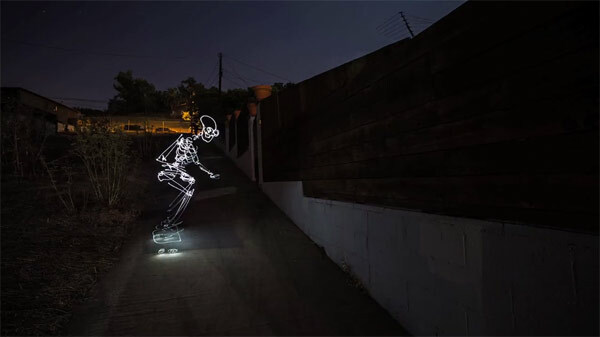 He has since released a new animation video entitled “Light Goes On” which consists of a light painted skeleton skateboarding around various locations and busting some gnarly tricks throughout the corpse’s journey. 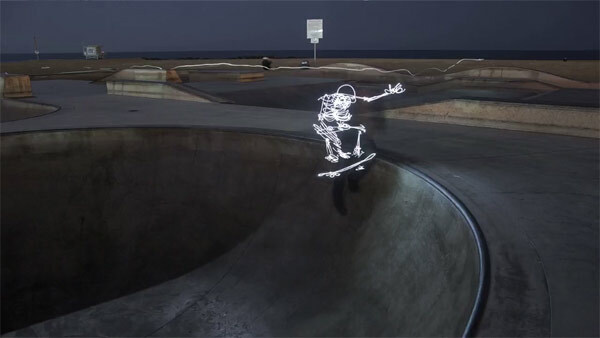 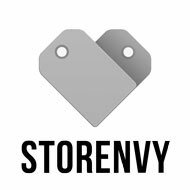 See some great images and video after the click.